Through Bulk SMS API we can able to check the Status of the sent messages, Delivery report, and group delivery report. We can able to send the Unicode messaging also. Once we integrate the Bulk SMS Gateway in any of the application, the application trigger the HTTP API call with all the parameters when on required. 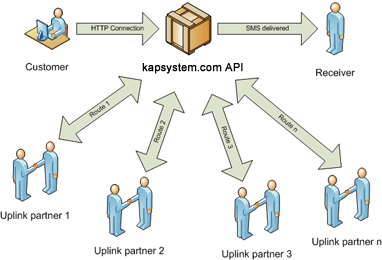 The required parameters like SMS Service URL, User Name, Password, Mobile Number, Message, etc.. As soon as call the HTTP API, the api along with all the parameters will be send to SMS Gateway Server and the bulk SMS Gateway evaluate all the parameters and automatically the message will deliver to the given number without login to the SMS panel itself.